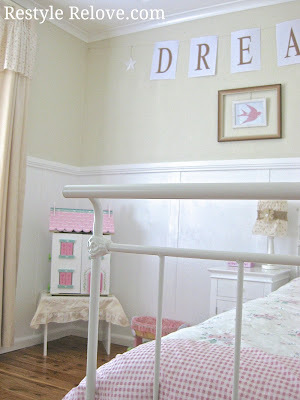 Today I'm sharing my 5 year old daughter's new vintage style bedroom! 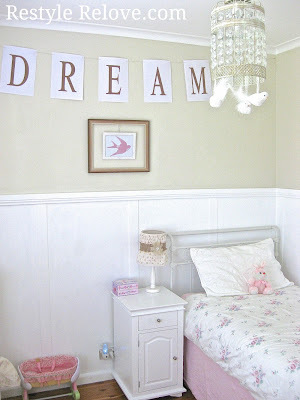 I'm so happy with the end result of Holly's room. 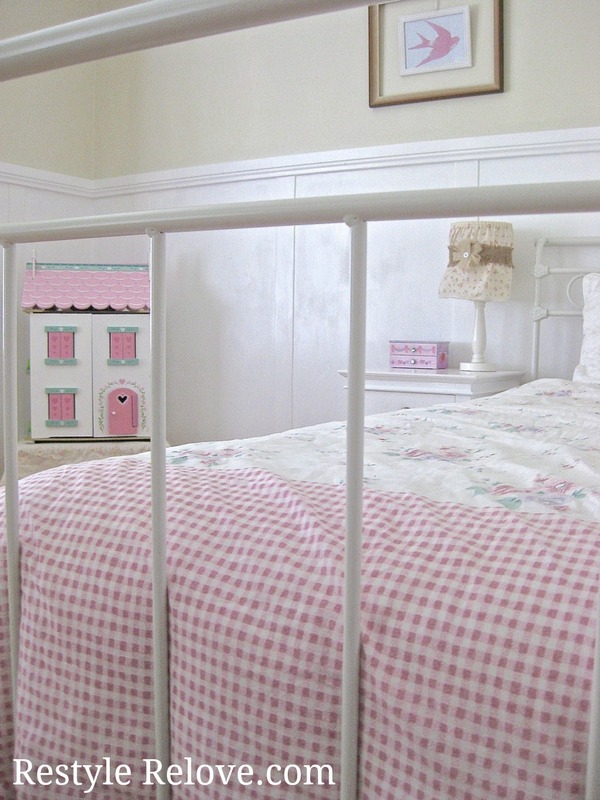 I especially love the DIY board and batten on the walls which I installed myself, then painted a gloss white. The top half of the walls I painted Dulux Hog Bristle in Half strength. I love this colour in all shades. It is so warm and inviting. 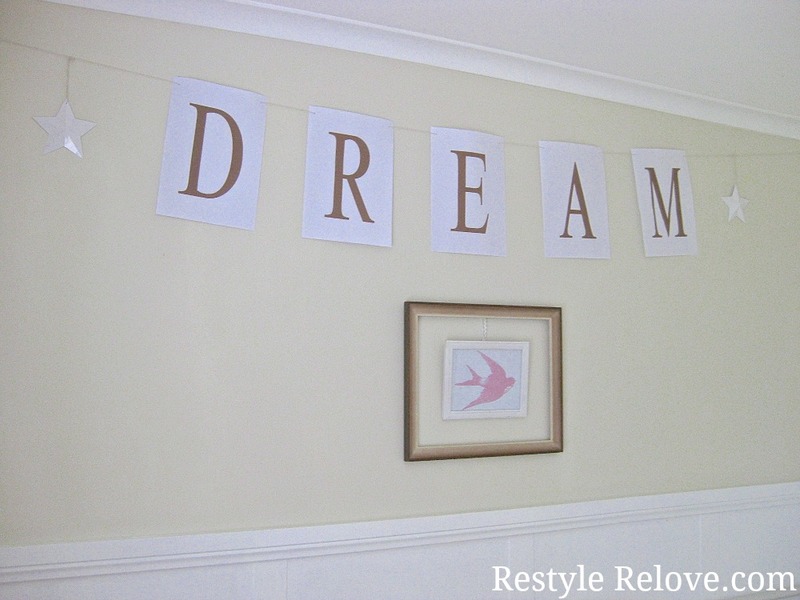 The "Dream" banner was easily typed up on the computer and printed on white A4 pages, then hung across the wall with twine. The little 3D stars are off our Christmas tree. 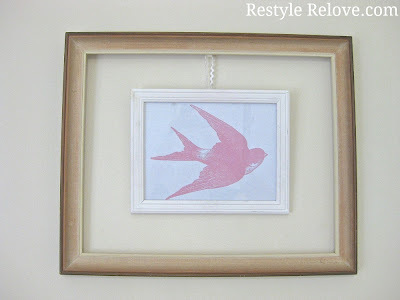 I used a pink bird I printed off the internet and put it in a simple white frame. I hung this with white ric rac ribbon. Then I framed the picture on the wall with another wooden frame. I love the effect the two frames give. I chose a light pink foral quilt cover and the bedskirt is a large pink lightweight waffle blanket. She can pull the quilt down on hot nights. 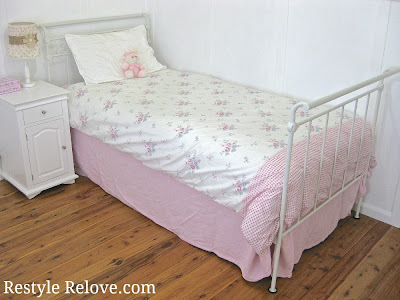 The antique style wrought iron bed I purchased on ebay a year or so ago. Holly's lamp has been restyle a few times, but I'm really happy with it now. 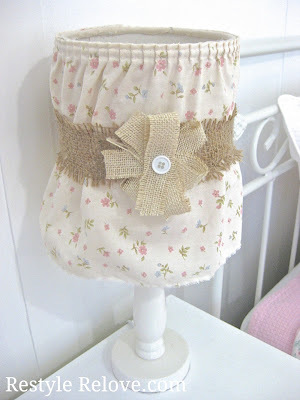 The fabric is the same as the ruffle on her curtains. I picked this antique bird cage style light for Holly about a year ago. The little birds are from our Christmas tree and can now be enjoyed all year. 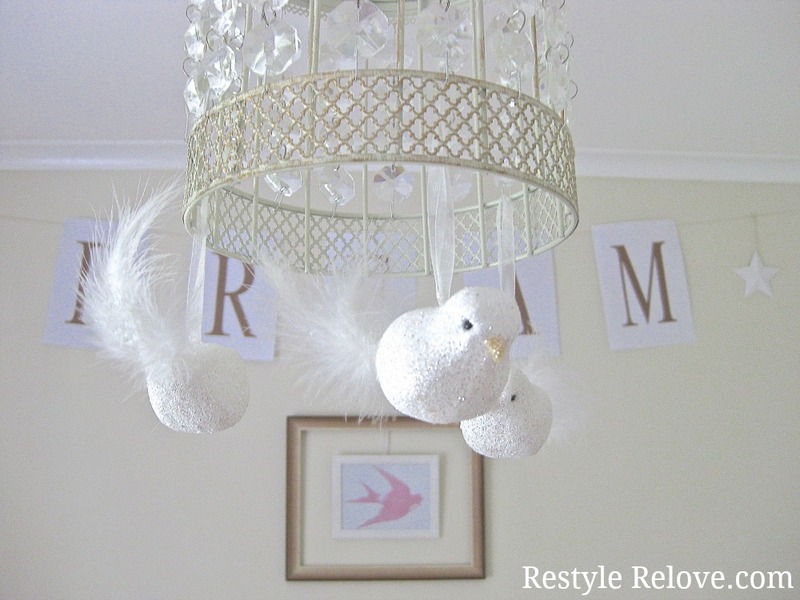 I love the glitter and feathers of these sweet little birds. 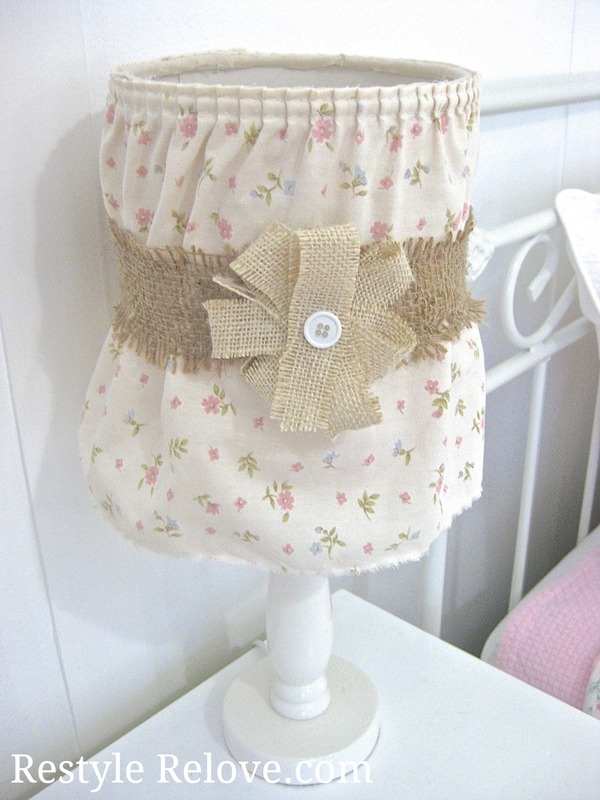 And if you remember I changed the curtains not long ago to make them less bulky and added a ruffle of floral fabric to make them more girly. 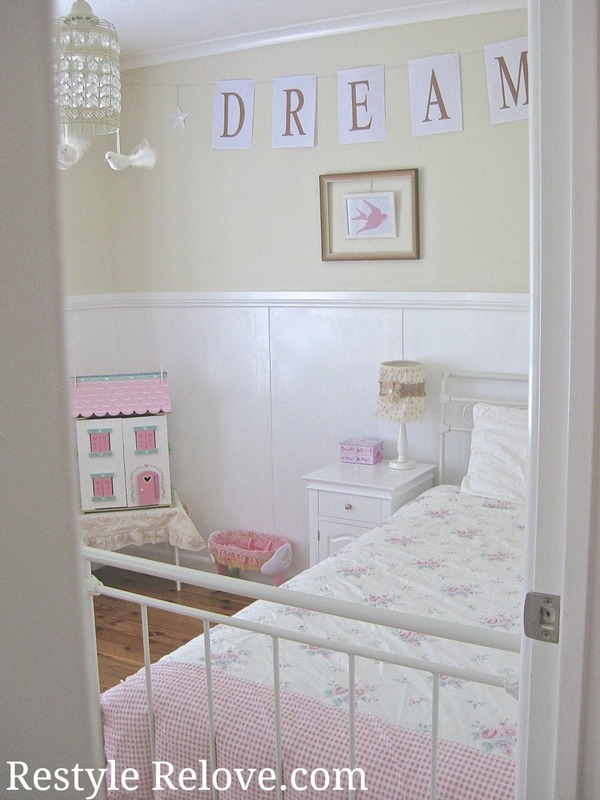 I hope you enjoyed the tour of my daughter's new vintage style bedroom. So sweet and gorgeous Julie and the perfect little girls bedroom. 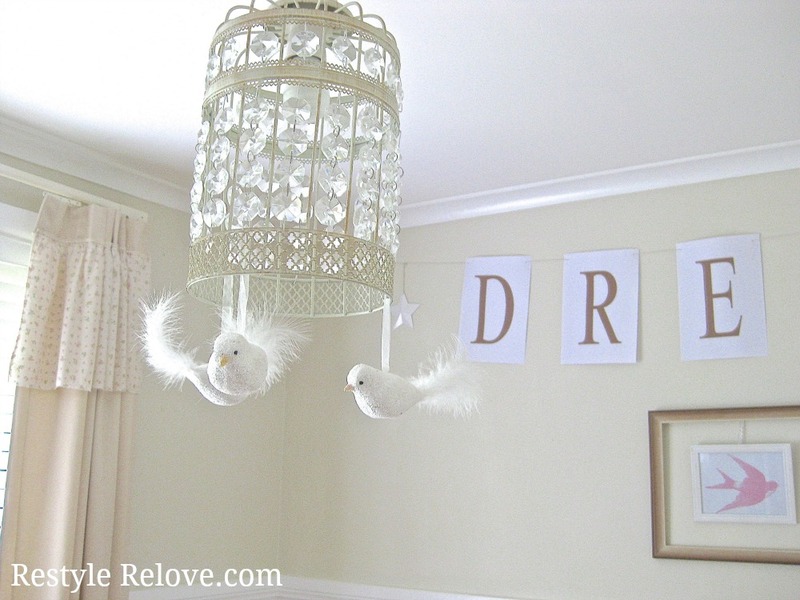 Visiting from Savvy Southern Style - love the room, especially the birds on the light fixture. What a magical room! What a sweet room you have created. 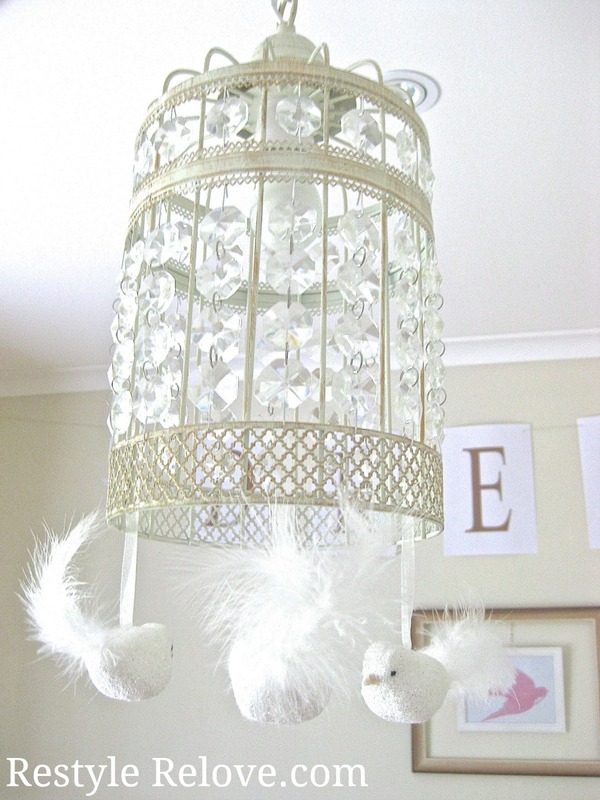 I love the idea of the two frames, and the lamp shade is beautiful. Great job! I'm a new follower. Happy New Year. 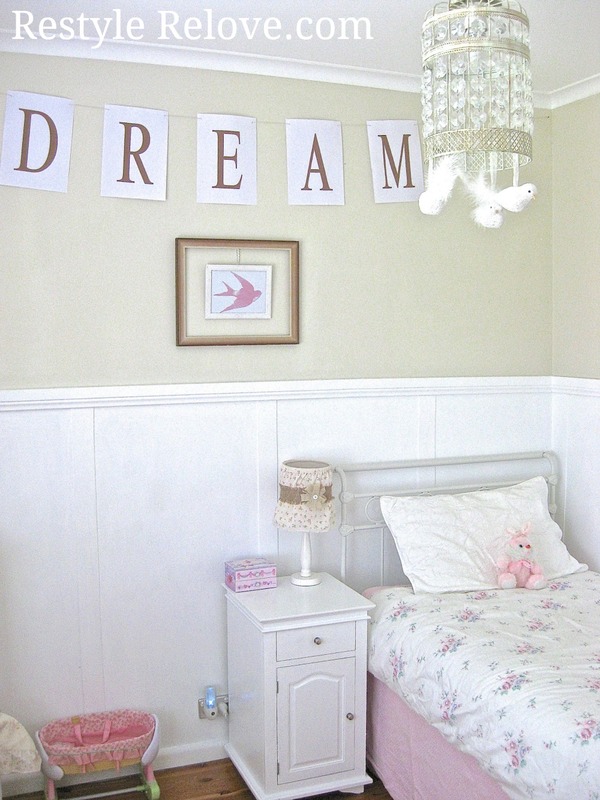 Such a pretty little girls room! 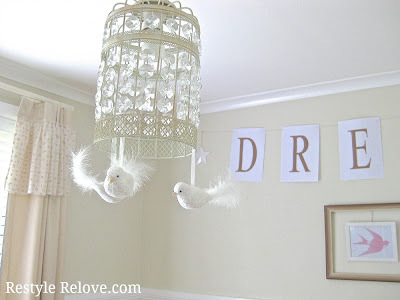 Just visited your blog, and love the room re-do. I recently re-did my daughter's too, and it's always fun to see the transition. I'm a new follower of your blog and new to blogging. Would love for you to visit and follow my blog, Maddiebella Home as well; I hope you enjoy it. 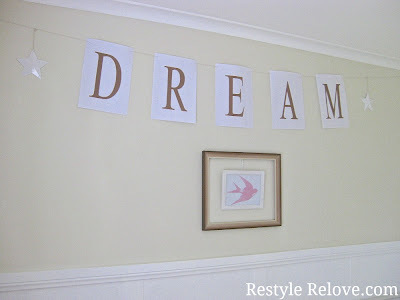 Thanks for linking up at Shabbilicious Friday Julie. 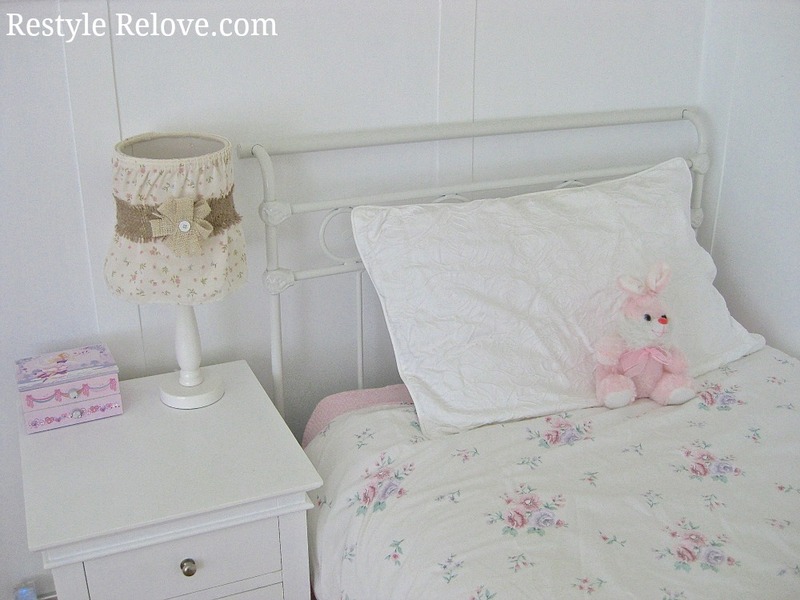 I am featuring your beautiful bedroom today.